Many starting line up questions for John Tortorella and the Columbus Blue Jackets tonight as they face the New Jersey Devils. The Columbus Blue Jackets, playing the second game in a back to back tonight, face a few tough decisions in the starting roster. Most notably, whether or not to start Sergei Bobrovsky a second night in a row or start Joonas Korpisalo. 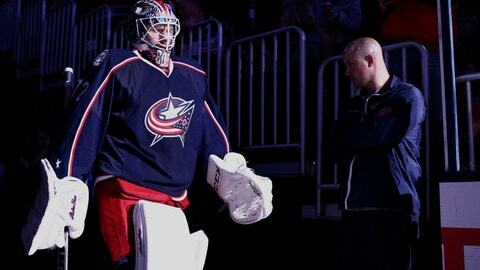 Korpisalo has somewhat proven himself in his time with the Blue Jackets this season, but the start has to go to Bob. The back to back shouldn’t pose too much challenge as Sergei had four full days off after the All-Start break. Also, the game last night was played in Pittsburgh, not Phoenix, so the flight back home was manageable to say the least. Divisional games, no matter the opponent, put in play crucial points. A hot New Jersey team is coming off a tough loss last night ending their point streak at seven games. A fellow resident of the Metro Division, the Devils should be challenged by facing one of the best goalies in the league. Play Sergei and come away with two points at home. Tonight could be the night we see rookie Markus Nutivarra return to the line up. He traveled with the team to Pittsburgh but did not see any ice time. The 22-year-old rookie has seven points and a plus four rating this year in 42 games so far this year. No question Dalton Prout and Scott Harrington have played admirably while filling in. But the team isn’t the same without Nutivarra or David Savard. Play Bob and hope the rookie blue liner Nutivarra can come back in. Fellow Metro foes at the top of the division, Washington and Pittsburgh, face tough road games tonight. The Jackets must take advantage of this and seize two points at home tonight. With plenty of home games and few miles to travel, there is plenty of time to rest Bobrovski. The Jackets should put the best goalie in net tonight, and let Korpi play on Tuesday against Detroit.